I experiment to some extent with the pricing for contact lens products in my practice. I follow the philosophy of setting the professional fees fairly high and keeping the lens product prices comparable with some of the online contact lens vendors. I track my contact lens prescription retention rate as I try different pricing formulas. I have found that our patients are not extremely sensitive to product pricing. Most patients want to buy their contact lenses from my practice. Of those who do not buy from us, many people apologize to the technician for having to go someplace else for the lenses. Of course, we are very understanding and we recognize that patients have a right to their Rx and they can buy their lenses wherever they choose. But we hope they choose to buy from our office. I believe the loyalty we see from patients wanting to buy products from us comes from the trust they have in our practice and our doctors. I can’t quote prices in an article like this, but you are certainly free to experiment with your prices and find out at what point you begin to see more patients resisting the option to order contacts from your office at their annual exam. As I was analyzing the price points in my practice, I discovered a great way to increase sales of annual supplies: give a larger full-year discount. You lock the patient into your practice for a whole year, which is the usual exam cycle. The patient will not be shopping for lenses during the interim period. You reduce your staff time because they do not have to handle smaller lens orders throughout the year. You collect more revenue sooner. Most practices use the manufacturer’s rebates to encourage full-year purchases at the time of the exam. My practice also found good results when we offered our own discount when patients bought a full-year supply. We offered 10% off our per box price and had good results, but I recently raised the per box prices about 10% and now offer 20% off with the purchase of annual supplies of contacts, in addition to the manufacturer’s rebates. This has produced a very strong increase in annual supply sales. We have all our contact lens prices listed on laminated cards that our technicians carry with them. The card shows our usual price per box for every lens brand, but it also shows the total for the annual supply, after rebate and the discount amount including the rebate. We even do the math to show the new discounted and rebated price per box, which ends up being quite low. We also train our staff to never ask a patient how many boxes they would like at the end of an exam. It is far better to just assume they want a full-year supply. 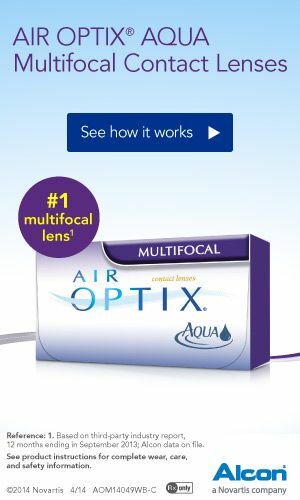 If the patient asks the price of the lenses, we quote them the price per box (after discounts and rebates) and we tell them how much money they saved by getting the full-year supply. The only exception to our annual supply discount is for lenses that have a unilateral pricing policy (UPP). In that case, we explain that our price is set at the minimum allowed by the manufacturer and it is the lowest price available nationally.